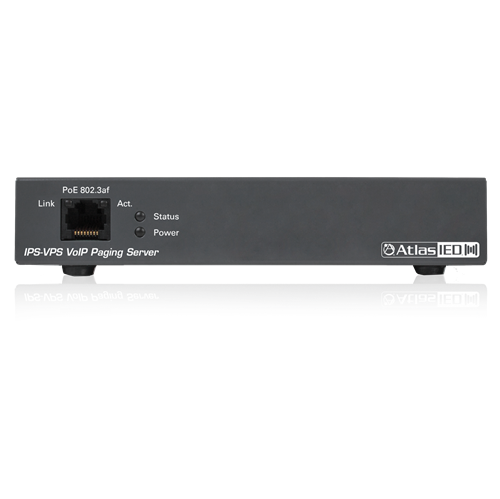 AtlasIED IPS-VPS is a SIP server that is perfect for creating a group paging solution through multicast transmission for any combination of registered SIP endpoint devices and an analog overhead system in an environment where the SIP servers or VoIP communications managers may not support paging groups or where 3rd party notification applications are not required. AtlasIED IPS-VPS SIP server connects directly to a SIP server or VoIP communications manager through a single SIP phone extension or line and uses DTMF control for selecting zone groups. 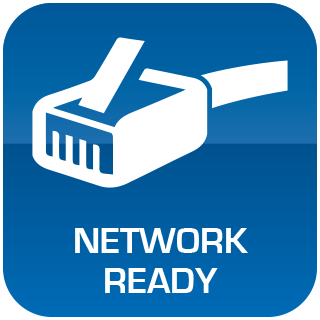 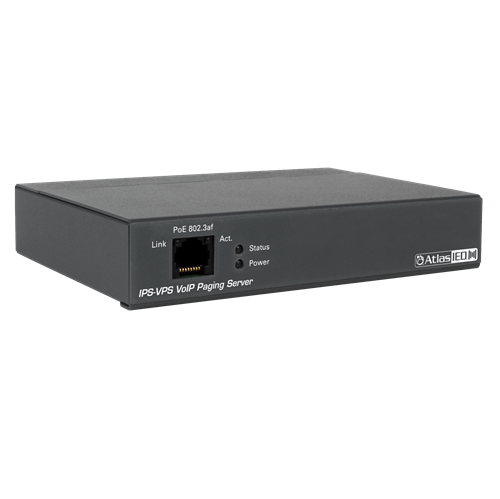 When a caller dials a paging number, the IPS-VPS provides a one-way voice path to supported IP phones, SIP devices and/or its analog output that has been designated to receive paging, all while leveraging the WAN/LAN network architecture. 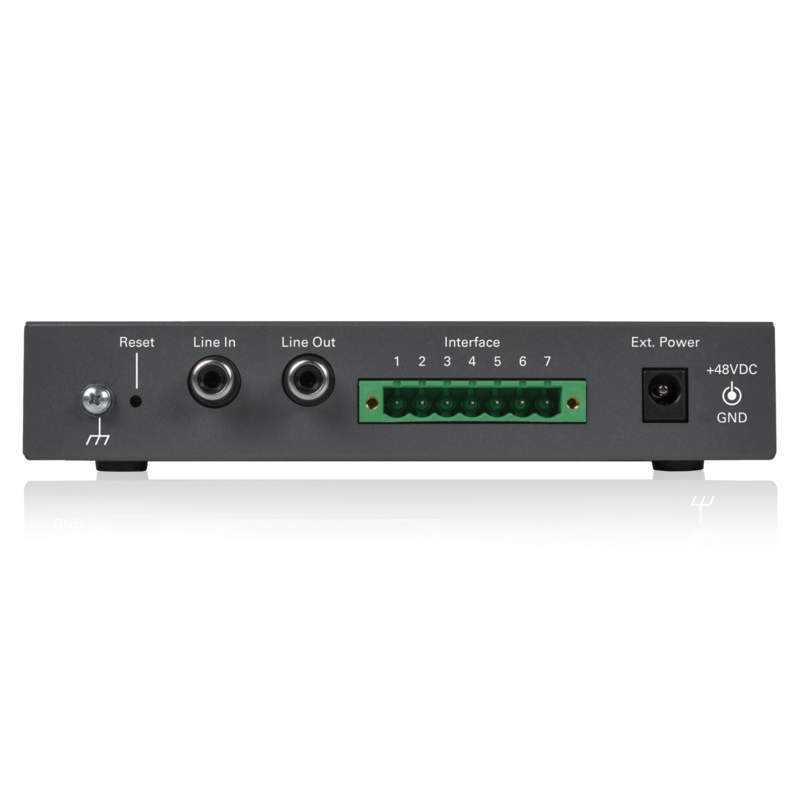 Ideal for Corporate Applications, Education Institutions, Entertainment Complexes, Industrial Facilities, Government Buildings, Healthcare Facilities, Houses of Worship, Transportation Hubs; anywhere the need for critical alerts/public address exists and a single enterprise-class communications platform is preferred. 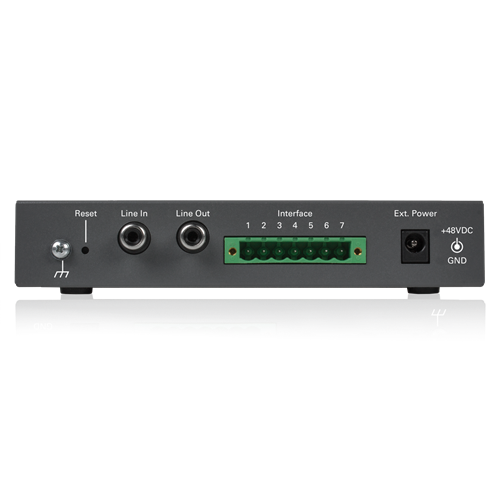 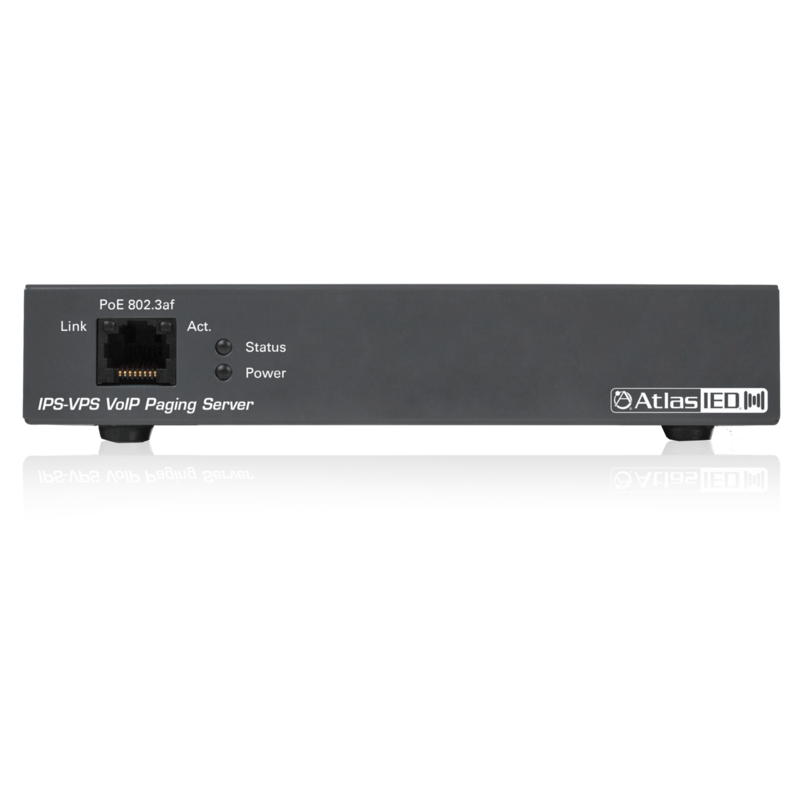 The paging mechanism supports audio distribution using IP multicast, replicated unicast, and a mixture of both (so that multicast is used where possible and unicast is used for specific phones that cannot be reached using multicast).